Does your favorite restaurant tick all the boxes? "Ano feel mo kainin?" is something you’ve likely heard many times before. Whatever cuisine you're about to devour next, it should check the first thing on our list: Is this what you feel like eating today? When deciding on where to eat, the location is definitely a big consideration. Accessibility is often a priority, but going out of the way and making a trip out of it can make a meal even more special. It’s simply a matter of practicality—if it doesn’t fit the budget, then there’s no way to pay for that meal. JJ Yulo, a well-known food writer, commented on the typical amount of cash the Filipino diner was willing to pay for food during the Globe myBusiness Academy session at the recently concluded World Street Food Congress in Manila. "I think the sweet spot among people with money to spend or willing to part with is 500 bucks... Once [the restaurants] hit the P700 mark, it gets dicey." Spending P200 on fast food is definitely not the same as spending it on a family-style restaurant. Value for money can mean different things on different days, but it can be summed up into one neat question: Is it worth it? Is the staff accommodating? Attentive? Knowledgeable about the dishes? These little things make the service charge worth paying. Otherwise, you can just visit the mall food court. It's upfront: self-service only. Social media has become such a big part of modern life that ambience is no longer limited to the vibe of the place. There's a reason phones like the Huawei P10, which can take amazing food photos with its Leica lens, were developed—nowadays, whether the food or the decor or even the staff is IG-worthy is very much taken into account. At the end of everything, dining out will always be about the experience. And that's a sum greater than the points in this list. It's part food, part service, part company, even something we can't control like the weather contributes to the experience. What we're all after is something to enjoy and come back to the next time the craving calls. 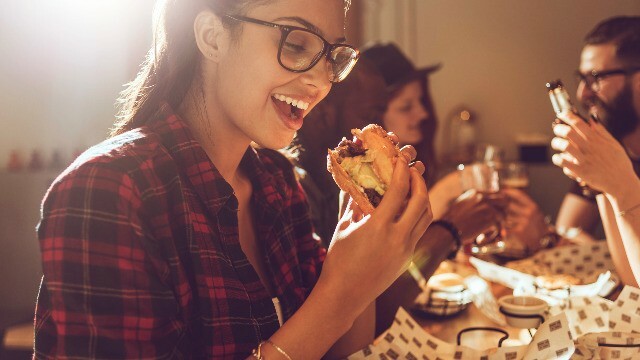 Without a doubt, whether you're the diner or the restaurateur in the equation, there are a lot of things to consider when it comes to the food industry. This is something both Yulo and Mendiola agreed on when they and other expert speakers discussed food trends, concepts, and content creation at the Globe myBusiness talk. Want to find out more about what they said? Download this whitepaper and get notes of the event. If you love learning more about the food industry or own a growing business yourself, watch out for upcoming talks and make sure you're part of the audience by following Globe myBusiness on Facebook.